“Opportunities don’t happen, You create them.” If you are wondering towards the opportunity of getting the best eCommerce platform, don’t be worry about it. 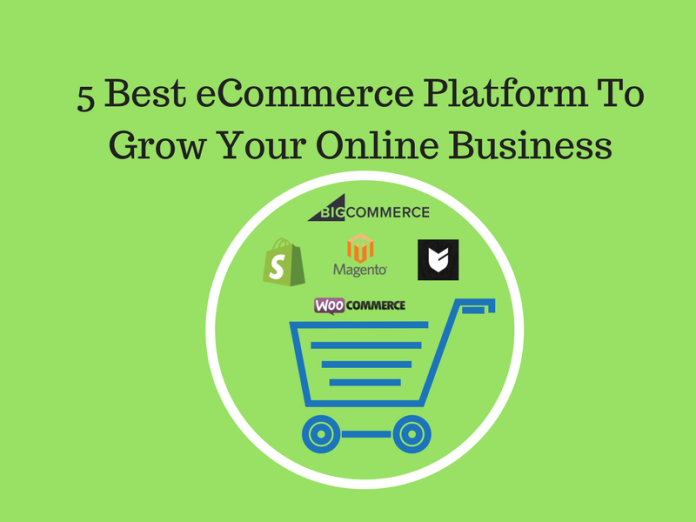 It is disconcerting, to choose the best eCommerce platform from when starting an online business. Eventually, you should go with some research in choosing the best one for your startup or eCommerce business. In this article, We will navigate you with the 5 Best eCommerce platform, after reviewing some of the top platforms for eCommerce that helps you to build and fast growth of your business. Guys! let’s start, take a deep breath and start your online business. All you need is an idea for a product. The best eCommerce Platform that assists you to Sell Online, on Facebook, or in person. It was founded in 2006, and since then, the platform has hosted over 220,000 online retailers. It offers you to customize the eCommerce Software as per your business needs with satisfaction. Shopify plans range from $9/month to $299/month. As a platform, Shopify offers a lot of flexibility in order to manage your online store, products, and inventory. Moreover, if you find yourself zero developing and technical knowledge then don’t worry, Shopify is more user-friendly any business owner can use without technical skills. Shopify also has a growing community where business owners share tips and knowledge and an app so you can keep track of your store anywhere at any time. Magento is open-source software for building an eCommerce website written in PHP. This means it’s free, just like WordPress you can directly install it from your cPanel and build your store using the Magento Admin Panel. Magento empowers thousands of retailers and free to install. In this platform, You need to hire someone who is familiar with this system because it needs developing skills (Requires HTML/CSS skill). In Magento, you need developing skills for setup your eCommerce business. WooCommerce is also popular among WordPress users, means you should have some WordPress knowledge. It is different from all the above eCommerce platforms. WooCommerce is a WordPress plugin. It powers 28% of all online stores. It offers you a medium customizability, you can add products and images. Once you buy a domain and web hosting, WooCommerce is totally free. But other additions may require a purchase and set different prices. Woocommerce is good for the small store so if you run a small business then hurry up it’s a good platform. Bigcartel is known for one of the most simple open source platforms, its Price ranges from free to $29.99/month, whereas free version is very limited and its themes are free. it is also popular among small business with an unlimited number of products. In terms of Customizability, it offers a medium customizability. Like Magento, You not need require any coding skills in order to use this platform. It is very simple to use once you sign up and start the setup process. If you want to change the overall look of your store, you can go with themes which are available in Bigcartel. Also, it has a free option which allows you sell five products on a store with a Bigcartel URL (mystore.bigcartel.com). If you want to customize your URL, you customize it and need to upgrade to any of the three paid plans. The paid plans increase the product limit and the maximum number of products allowed is 300. BigCommerce is another best eCommerce platform, Launched in 2009. The platform has hosted over 55,000 online retailers. It is cloud-based and user-friendly software that provides you to build responsive web store, you do not need to require any developing and designing knowledge. 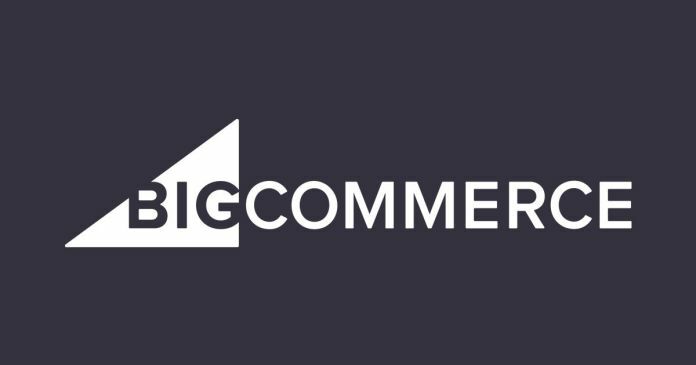 BigCommerce serves you with the option that handles everything from products, payments, shipping, checkouts, coupons, integration and more. BigCommerce provides to stores of all sizes, either you running a small business or the large business. It has huge built-in features including newsletters, coupons, shipping, tax, analytics, and more.